Looks like Denny's is going after millennials. The breakfast corportation has always catered to the young, old and in-betweens since it was founded in 1953. However, it looks like Denny's is taking a step into the future with a new fast-casual concept they're calling "The Den." Located only in college campuses, The Den appears to be exclusively catered to twenty-somethings. Its interiors look more like a quick-service restaurant similar to Chipotle or Smashburger rather than a diner like Denny's. 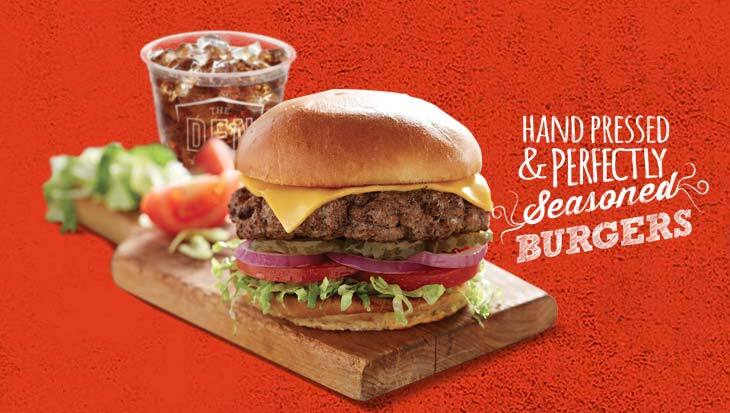 While the new concept features some of the staple Denny's menu items like the Grand Slam and Grand Slamwich, they've added a variety of newer items to the menu. These new options include various "hand-smashed" burgers, burritos and sandwiches. Their burgers, in particular, are known for cramming breakfast items (eggs, bacon, potatoes) between the buns. Currently, there are 10 locations sprinkled throughout college campuses across the United States.